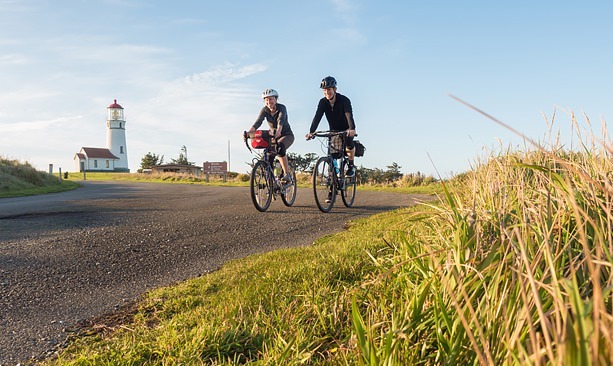 Five years ago, Bandon residents cheered as 2,000 cyclists peddled past sea stacks and cranberry bogs into this beach town at the mouth of the Coquille River on the Southern Oregon Coast. Julie Miller, executive director of the Bandon Chamber of Commerce, couldn’t be more thrilled, having seen her town flourish in the past five years due to new economic development efforts, concerted partnerships with other coastal communities and a big tourism bump. 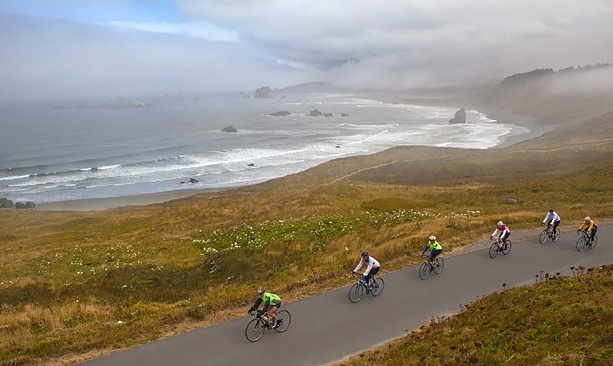 The ride will also stop in other coastal towns, including Myrtle Creek, Camas Valley, Bandon, Gold Beach and Glendale. The economic payout to these communities is huge. Cycle Oregon pumps around $1.75 million into the local economies with each Week Ride, including the grants they distribute to promote bike tourism and safety, the payments they make to the community groups that help haul bags and serve meals for the event, and the money spent by the riders while they’re in each town. Why was the Southern Oregon Coast chosen this year? A: We try to look for where the great riding is. What are the great communities? How do we connect those dots in the most interesting and most surprising way for people? We want to have the Oregon story — including the cultural and historical touch points, plus jaw-dropping scenery. 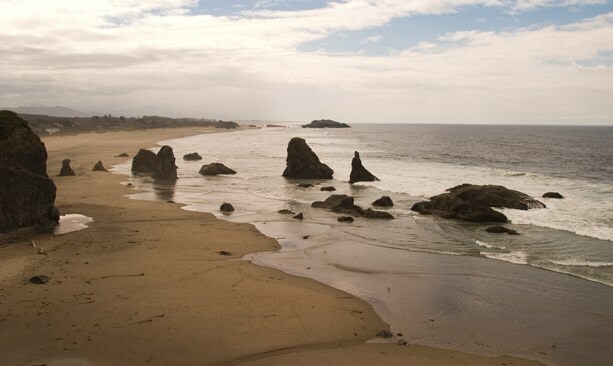 We want to make sure to get out to ocean, see the beautiful sea stacks, get down to some communities we love like Bandon and Gold Beach, and discover hidden gems like Camas Valley. How does the Week Ride tell the “Oregon story,” as you put it? A: Timber and logging is a big story in this part of the state. Along the Coast, we’ll be riding through some areas where there’s active or recent logging. We’ll be talking about what timber means to the communities, what the challenges are today and what the future holds. We’ll also be talking about fishing, a big part of the identity. We’re hoping to purchase some of our food for the event from the local co-ops. 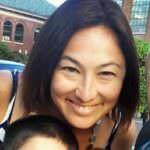 There’s also a strong native community. We’ll be riding and talking about the native culture and history and celebrating that community too. We’ll be seeing a different slice of life. What kind of magic does it take to pull off an event like this? A: We secure permits from every land agency along every mile of every ride. We’re negotiating, doing paperwork with the Oregon Department of Transportation, all counties, cities, U.S. Forest Service, Bureau of Land Management. On the ground, we call it the traveling circus. Meals, hot showers, evening entertainment, en route safety – we have a complex and integrated communication system. Volunteers set up a ham radio network to make sure we have communication on every inch of the road — and about 150, amazing volunteers come back year after year.